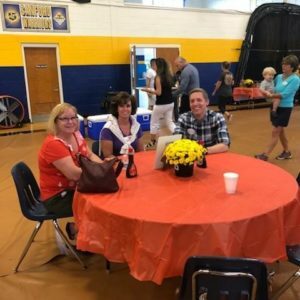 Tarabicos Grosso was a proud sponsor of the Pancakes for Parkinson’s event held on Saturday, September 15, 2018 in Hockessin, Delaware. 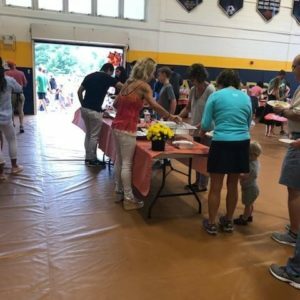 The annual pancake breakfast event raises funds for The Michael J. Fox Foundation for Parkinson’s Research. 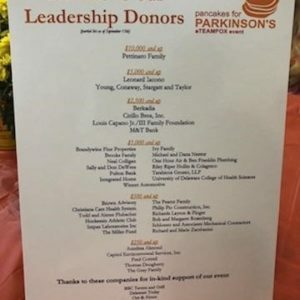 Since 2008, the Delaware chapter of Pancakes for Parkinson’s, founded by Tarabicos Grosso client Gregory Pettinaro and his family, has raised over $750,000 to fund awareness initiatives and research dedicated to accelerating the delivery of life-changing treatments and to ultimately help find a cure for Parkinson’s Disease.